LinkedIn Customer Service has a policy that is sincerely formed from the top down. As a result, they have managed to create a customer who was satisfied enough to spread the word. Jeff Weiner is the CEO of LinkedIn. While others in his position rarely connect with customers directly, this isn’t the case with Jeff. Recently a customer had issues with a video they posted. They weren’t getting any engagement on the video and didn’t see it in their activity feed. Since they already followed him on LinkedIn and attended one of his speaking engagements they decided to reach out to Mr. Weiner directly. Surprisingly enough, not only did they receive a response, Jeff followed up and ensured the issue was fixed. The article linked touches very lightly on how LinkedIn Customer Service deliver great customer value. Now, let’s dig a bit deeper into these points and how many companies are unintentionally dropping the ball. We’ll also explore some other examples of really delivering great CS. Leaving voicemails, waiting for responses, sending emails, not long ago even rapid customer service was not so rapid. Technology has made it possible for responsiveness to happen virtually immediately. Thanks to chatbots and online customer support software, there is no need for customers to wait for an initial response. Let’s not forget about social media. Like it or not, customers view social media as another customer support channel. They expect quick response there as well. Surprisingly, the brand that outdoes all others in social media responsiveness is not an internationally recognized brand. Instead, India-based food delivery service, Swiggy, has the fastest response time on social media. Whether your customer is stuck on an issue and cannot move forward, have a question, or simply want to place an order your timely response means quite a bit. You may not be able to solve every issue in a timely manner, but getting in front of a customer to let them know you are aware of their presence and need quickly can start any customer service experience on a positive note. One of the ways that LinkedIn’s CEO scored such high points was that he didn’t simply solve the problem and return days later with an answer. He understood that this may not be a quick fix. Because of that, he checked back in with the customer to ask if things were working and ensured him that they were still looking into it. Think about taking your car in for repair. You aren’t sure what’s wrong with it. You don’t know how long the repair will take. Worst of all, how do you know how much the repair will cost? In the meantime, you are stuck riding the bus waiting for a phone call. If that phone call doesn’t come, it’s irritating. You don’t know what’s going on! Wouldn’t a simple phone call be nice, or an email? Even if the news is bad, or things are simply taking longer than expected that phone call tells you that someone is working on your problem. Customers appreciate this kind of service in any situation. Check in with a status update, and give useful information when possible. Whether it’s learning that their brakes are not the issue or that online banking account is being reset, people appreciate knowing what is being done behind the scenes to help them. Customer service advice usually involves a lot of niceties. These are important, but ultimately competence matters. You will rarely receive a good review if your customers’ experiences do not involve solving their problems. Whether you take the direct path and fix the problem head-on, provide a workaround, or find a suitable substitute that is the bottom line. This means customer support must inspire confidence, they must be well-trained, and they must be empowered. A good place to begin is by learning how customers rate you now. A customer satisfaction tool like Nicereply that can integrate with help desk software can provide you with information that you need. The paragraph above didn’t go into much detail about this, still, it is more than worth mentioning. LinkedIn Customer Service offers its users a variety of troubleshooting tips. This allows them to work on problems on their own before reaching out to customer support. How is this customer service? First, it’s giving people what they need. Millennials especially crave self-service options that allow them to quickly find information and solve problems. It also frees up customer service agents for people who do need assistance from a qualified person. Finally, self-service options need to be clear and easy to navigate. Self-service scripts and help text should be very well-written. Some businesses even opt to have these composed by professionals. If you go that route, check out top companies reviews before you select an online content provider. Jeff Weiner went above and beyond in showing empathy and concern. First, he responded to the customer directly which went above and beyond what most would expect from the head of one of the Internet’s most astronomically popular websites. Later, he indicated concern as to whether or not the author was still having an issue. Finally, he took the time to tell him he looked forward to seeing his content. True or not, the customer was certainly left impressed. To a large extent, empathy is a hiring issue. Some people simply express this better than others. These are the folks to get in front of customers especially when things have gone wrong. However, there is more to it than that. It is also an empowerment issue. For example, if your reps are being constantly told to hurry and being evaluated on the time it takes them to close calls, empathy and concern will be put on the back burner. Always emphasize customer care during training and evaluations. Clearly, LinkedIn Customer Service has a policy that is sincerely formed from the top down. As a result, they have managed to create a customer who was satisfied enough to spread the word. By taking a page out of the same book, you can also earn customer recommendations and praise. 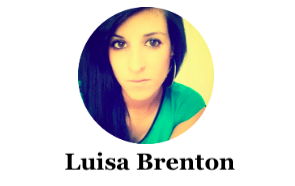 Luisa Brenton is a brand developer in the past; mom, educational blogger in the present. She writes in a variety of venues: academic, business and online marketing content. Contact her on Facebook and Twitter.